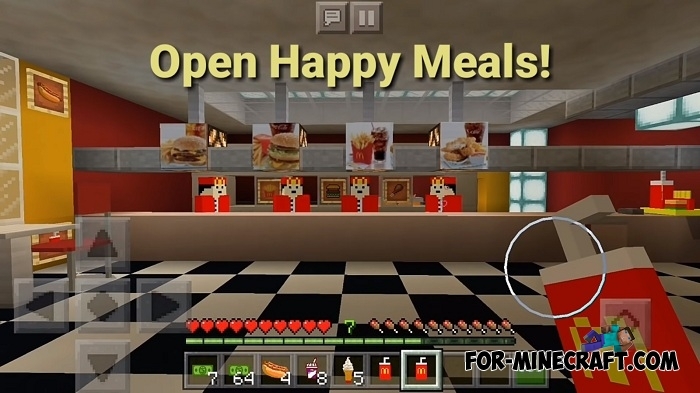 Want to surprise and feed your friends in Minecraft PE? 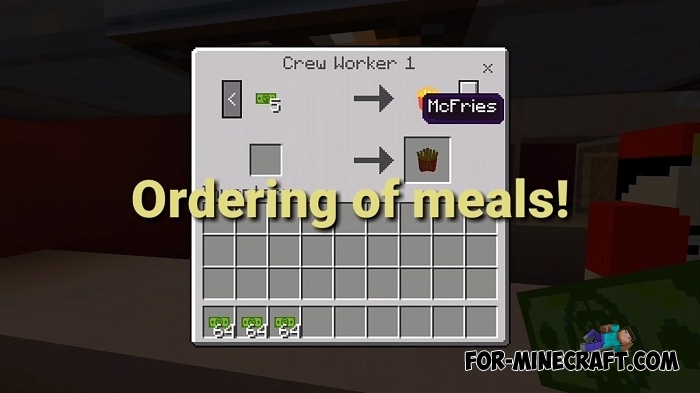 It's very simple, because now you will become the director of one or more McDonald's restaurants. You have an excellent salary and you are happy with your life, the employees of your restaurant are pleasant and polite, they sell the whole range of food, the dining room is cleaned, there are tables and the players eat tasty and nutritious food. 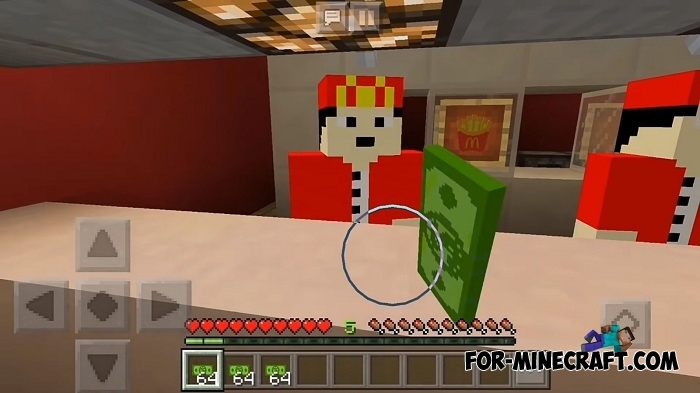 This is really possible thanks to the McDonald's Add-on which adds all the attributes of McDonald's. 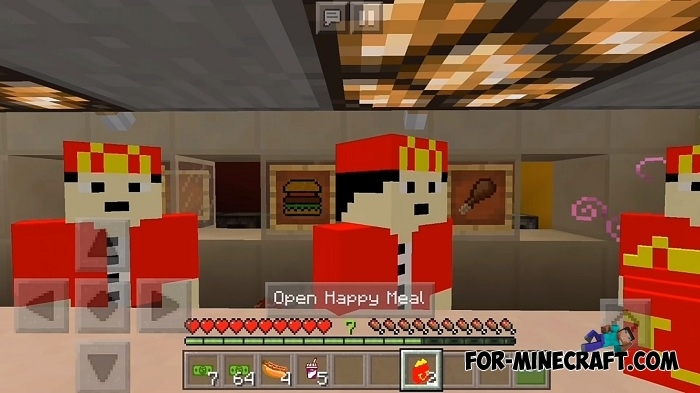 What do you order most often, mcburger, fries or happy mill? 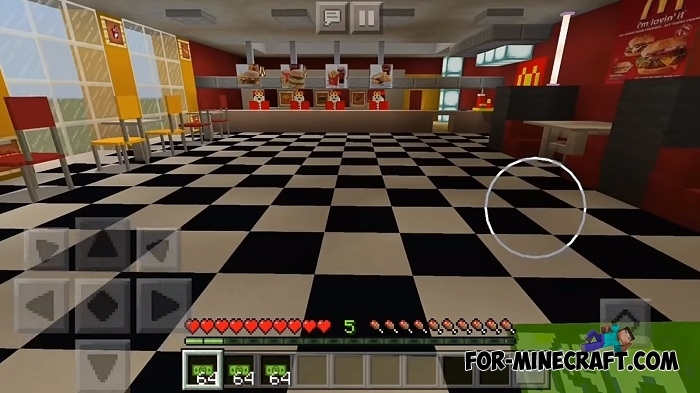 These and other products are included in the overall menu of your restaurant, building blocks and items will create an excellent copy of the McD's in the virtual world of Minecraft Bedrock Edition. 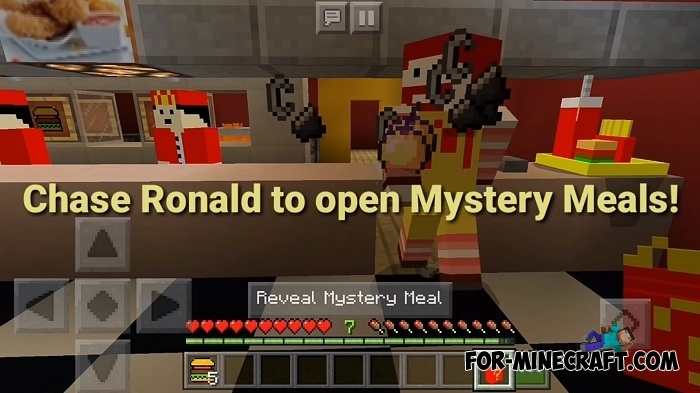 You can even invite Ronald himself, although he doesn't know how to entertain visitors very well. 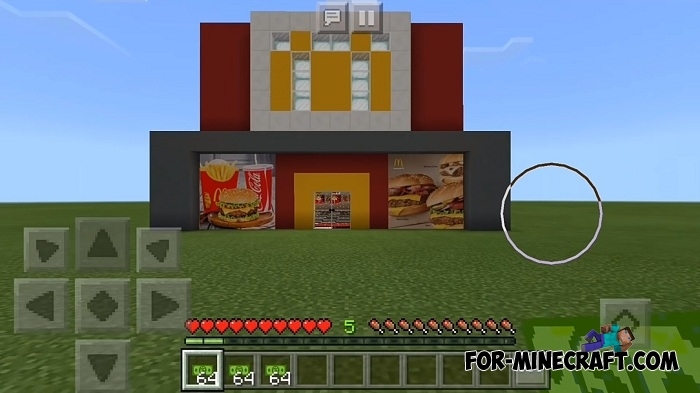 In any case, McDonald's in MCPE is the real thing that can be implemented by this addon. 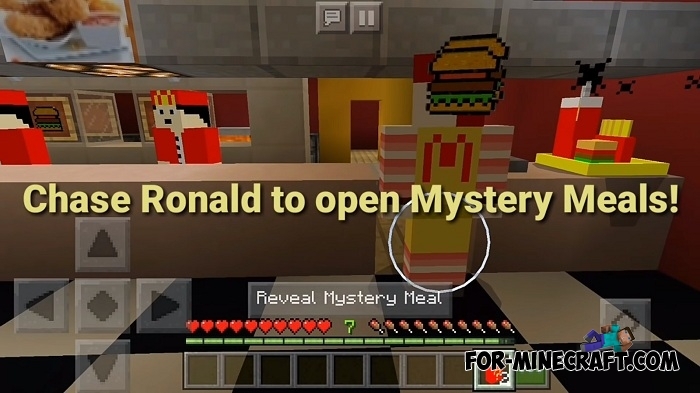 How to install the McDonald's Add-on?